Wondering which are the best luxury restaurants in Bangkok? You’re in the right place! Actually, you should be in Bangkok, but you’ll get there. Thailand has been a popular tourist destination since forever. And when it comes to dining in its capital, you have so many possibilities. But only 10 restaurants made the cut today. 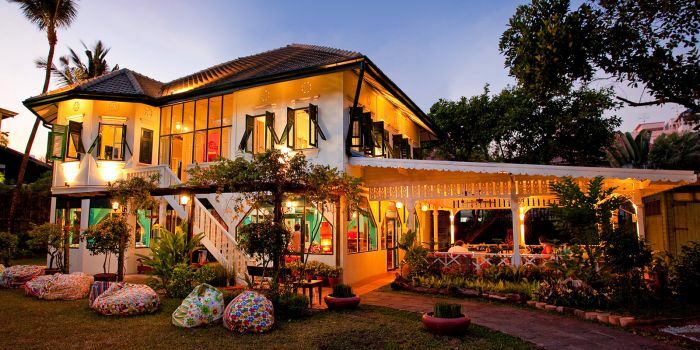 We begin our top list with Issaya Siamese Club, located at Chuea Phloeng Rd, Thung Maha Mek. This Thai restaurant is an 100-year-old house with beautiful wooden veranda and old fashioned staircase, providing a romantic mood. Its interior features a mix of classic and modern furniture on terracotta tile floors and colorful wallpapers. Their dishes are moderately spicy and always skilfully presented. We recommend: the Yum Hua Plee (a banana flower salad with sweet sauce), Tdom Klong Seafood, Double Boiled Beef Short Rib and Poo Nim Tod Kai Kem (soft shell crab with a salty egg sauce).